Your experience and technical credentials may make you a strong candidate for an IT manager position, but the CIO may want something more. Non-technical attributes can help you stand out from the competition and tip the hiring decision in your favor. Maybe you have the skills and experiences the CIO is looking for in a certain position — but there may be many other applicants with similar resumes on the CIO’s desk. The 10 traits listed below extend beyond the required skills and can help set you apart from the other candidates. Look at your resume and try to tie in examples and experiences to these traits in cover letters and during interviews. 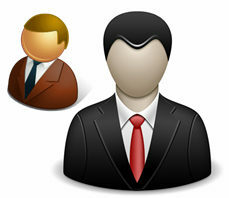 CIOs want managers who take initiative and want to do a good job. Being proactive is an excellent trait as long as it’s consistent with the mission. Our IT world is constantly changing and those who are adaptable tend to achieve more. CIOs need managers who can adapt to change and maintain high levels of productivity even in uncertain times. People who understand the importance of client service know that clients, or users, are the reason we have an IT career. They also know how to take precautions when working on issues that can cause downtime and loss of productivity. Too many excellent technicians lose their value to an organization when they can’t work effectively in a team environment. Demonstrating an ability to work successfully with mixed teams of IT staff and users is a tangible asset. CIOs want people they know will go the extra mile when called upon to take care of a situation — those who will do what it takes to succeed individually and for the team. True performers come through under pressure. It’s hard to teach people to want to succeed if they don’t already have the desire. Having such a desire puts an emphasis on getting important issues resolved, and CIOs need people who recognize when a situation calls for “all hands on deck”. Putting out fires is a big part of any IT manager’s role, and competence doesn’t necessarily mean a manager has to have all the answers. Good managers are willing to work hard to find answers and enjoy the challenges that land on their desks. Being able to communicate effectively with others is necessary in any IT management role. 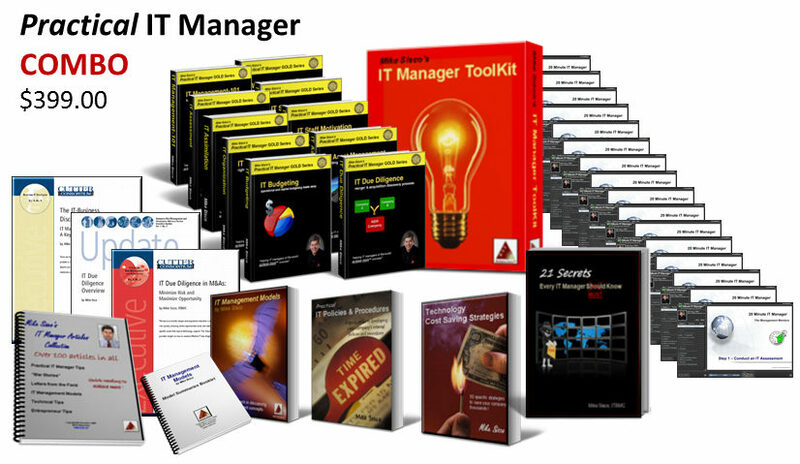 IT managers communicate with everyone these days — from senior management to the CIO to users. Strong verbal and written communication skills will set you apart from most of your peers. Nothing is more frustrating for a CIO than to have a manager drop the ball by not following up on a commitment or issue. It probably harms the credibility of the IT organization more than anything. The ability to follow up shows commitment and an understanding of client service. 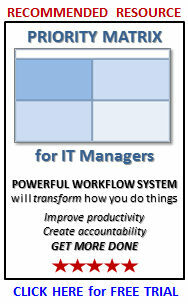 CIOs want managers who can operate independently, solve problems and who don’t create personnel or workplace problems. No CIO wants a manager tapping them on the shoulder all day, double-checking things and seeking help. The manager who requires minimal direction and who can deal with issues while ensuring that the appropriate steps are being taken is a valuable asset. Often, it’s the soft skills and the “warm and cozy” feeling a CIO picks up in an interview that helps you get that management job. Senior managers look for candidates they believe can and will be able to do the job, will require minimal support, and have great “can do” attitudes who lead by example. Be sure you load up your resume and interviews with things that help demonstrate these type of attributes as well as your technology understanding, , , it can make a big difference. 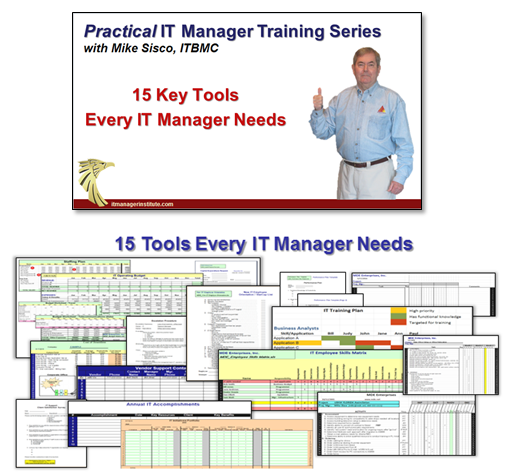 This entry was posted in IT Manager Tips and tagged first it manager job, it interview, it management skills, it manager attributes, it manager interview, it manager skills, mike sisco. Bookmark the permalink.